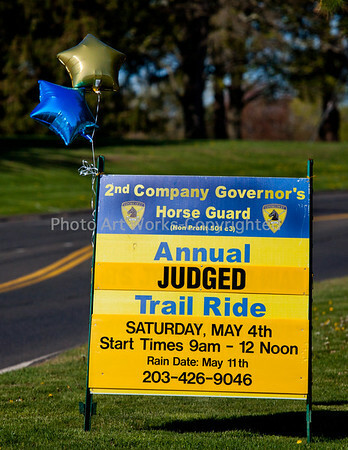 The 2nd Co. Governors Horse Guard held their annual public Pleasure Ride on May 4, 2013 at their headquarters located in Newtown, CT. Participants enjoyed riding the many miles of trails which are different each year. After a ride the participants competed to win first place as they put their horses through their paces at the obstacle course.